Miss Kallee with a Set mashed Up all kinds of Music! 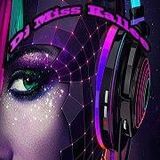 Miss Kallee going on a Hardstyle mission @ MWS Radio for a Bday Party of Matt East! Known this one and played in Club Infinity in Ghent. Also working as CEO of MWS Radio.